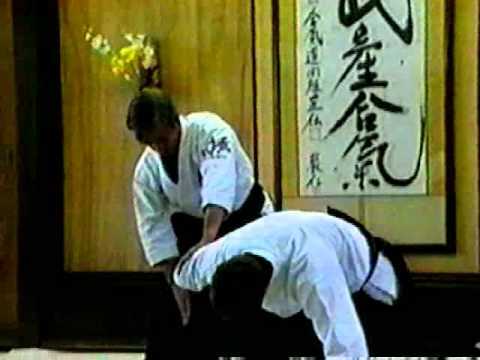 Info about "Ushiro kiri otoshi video"
Ushiro kiri otoshi is an Aikido throwing technique. 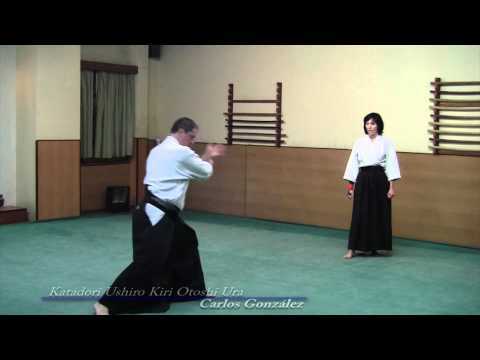 During its execution, tori’s step is a simple taisabaki (body rotation). Uke should be thrown off balance at the point when the defender is exactly behind him; in that single moment. After this moment, the defender steps from behind the attacker and lets him fall down. If the timing of throwing off balance is proper, tori doesn’t have to be concerned about uke falling on him because the second step of taisabaki makes sure that uke has an empty space to fall to. 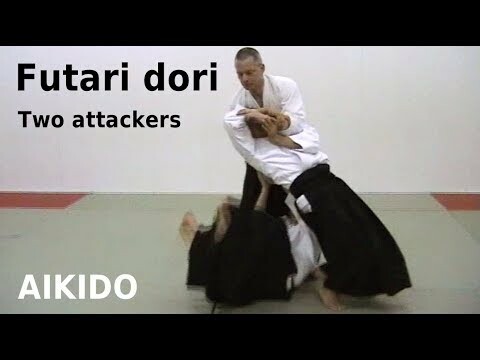 At the end of the techniqe, uke will be down on the mat in a position that is in right angle with the guard position of tori.